Last week, the Oregon Department of Fish and Wildlife released its 2013 Wolf Conservation and Management Annual Report. The document includes a wolf count and other statistics pertaining to Oregon’s wolf population. Biologists will use this data to determine the state of that population, and how wolves will be managed in Oregon in the year ahead. The report shows that in 2013, ODFW recorded a minimum of 64 wolves in 8 packs, including 4 breeding pairs. This number represents an increase of 18 wolves from 2012, but two fewer packs. The reasons behind this reorganization are still under investigation, but one thing is known for certain: the management of wolves in Oregon continues to shift as the state responds to both changes in the animal’s population and the ways in which humans interact with the species. OSU Press has conducted an interview with Aimee Lyn Eaton, the author of Collared: Politics and Personalities in Oregon’s Wolf Country, published by OSU Press last fall. Eaton’s responses shed light on topics ranging from the current state of wolf management to how the issues related to wolves continue to evolve. Like Collared itself, Eaton’s discussion will be of interest to anyone with a stake in the wolf debate. In the last chapter of your book, ‘Moving Targets,’ you write: “the wolf issue in Oregon is not a static, flat issue. It cannot be summed up and topped off…it is a living, breathing organism with thousands of moving parts and it changes daily.” Are there any recent developments—shifts in policy or practice—since your book was published just a few months ago? Wolf management in Oregon has continued to change and evolve since the publication of Collared last October. Several new wolves and new packs have been identified by the state, and these animals are living and hunting in territories where wolves have not been present for decades. This has led to an increased need for collaborative management and ongoing conversation between wildlife managers and the public. One ramification of this increased presence was the recent January decision by the Oregon Fish and Wildlife Commission to allow livestock producers acting without a permit to kill wolves that are caught in the act of biting, chasing, injuring or killing livestock. As of yet this ruling has not been put into use, however, I believe it does hint at the steps being taken within the state to both empower livestock producers and protect wolves. Springtime is a notoriously busy time for wolf management in Oregon. Depredations often occur during calving season, and we might expect to see an increase in conflict as we move toward the warmer months. This will likely spur into action new policies and practices that so far have largely been only theoretical (see the addendum in Collared). Beyond the state, the federal government continues to debate the merits of removing gray wolves from the Federal Endangered Species List. A decision is expected in December 2014, and if delisting does occur we can expect further changes to wolf management throughout the state. I was very interested in the title of your book, Collared. Why are Oregon’s wolves collared? What boons to ranchers, conservationists, and the wolves themselves do these collars provide? How or why did the collar become an emblem for your work—and your book’s title? Radio telemetry or GPS collars are one of the primary tools wildlife managers have in determining where wolves are traveling, living and hunting. These collars, which are fitted on animals by trained biologists, provide a wealth of information concerning the state’s wolf population and the habits of individual animals and packs. By analyzing the data from collared animals, the state is better able to actively manage and prepare for wolf/human conflict. For example, if data shows a wolf in close proximity to a known livestock operation, the livestock producer can be notified and encouraged to take extra steps to avoid depredation. In addition, these collars allow for the continued tracking and counting of the state’s population. This is information that has a direct impact on how Oregon’s Wolf Plan is carried out. Titling the book Collared: Politics and Personalities in Oregon’s Wolf County was a collaborative process. Several people at the Press were part of the conversation, and we discussed several options ranging from the very serious to the slightly silly. Ultimately, I liked how Collared hints both at the very real biological management plays in the wolf issue, and at its more cultural meaning when used in a verb form. The majority of Oregonians haven’t been out to Wallowa County, and thus lack intimacy with what it means to live in close proximity to wolves. Can you reflect on how your own experience doing exactly that changed the trajectory of your work? It’s very easy to characterize the individuals and communities involved in wolf management in Oregon. However, like our parents told us when we were young, you can’t know someone’s life until you have walked in their shoes. I chose to spend large amounts of time in eastern Oregon so that I could better increase my own understanding of what it meant to live in an area where wolves were known to exist, and also where many people thought they were a threat. I wanted to know the community not as a group of ranchers, but as individuals with hopes and fears. In order to talk about the issue from multiple sides, I felt it was necessary to enter the arena where things were most tangible. That being said, I also spent large amounts of time in offices, file rooms, coffee shops, courthouses and laboratories across the west as I attempted to increase my own understanding of the people and issues involved in wolf management. I believe this willingness to go into the field and meet the people directly involved in wolf management, or really any issue, is paramount to moving away from stereotypes and toward something that looks a lot more like understanding. In using this approach I wanted readers to recognize something of themselves in the book. I hope it was successful. One person you interviewed in Northeastern Oregon explained: “to come out for wolves is to come out against your neighbors.” With this in mind, were you asked to choose sides? What sorts of responses did you receive as you were working on this project? Since the book itself has come out, what kind of reception have you received, from parties on both sides of the wolf debate? Throughout my research and reporting several people made assumptions about where I stood, however I don’t believe that I was ever asked directly to identify myself as either pro or anti wolf. Several times I was greeted with skepticism, but as with any controversial topic, I believe that’s to be expected. I was asking people to tell me what scares them, to tell me their hopes and dreams. They had a right to be wary of where I was coming from, and I did my best to earn their trust and respect by approaching their stories with care and consideration. The response to Collared has been very positive, with people on all sides of the debate calling it an honest piece of work. I’m not sure I could have hoped for more than that. 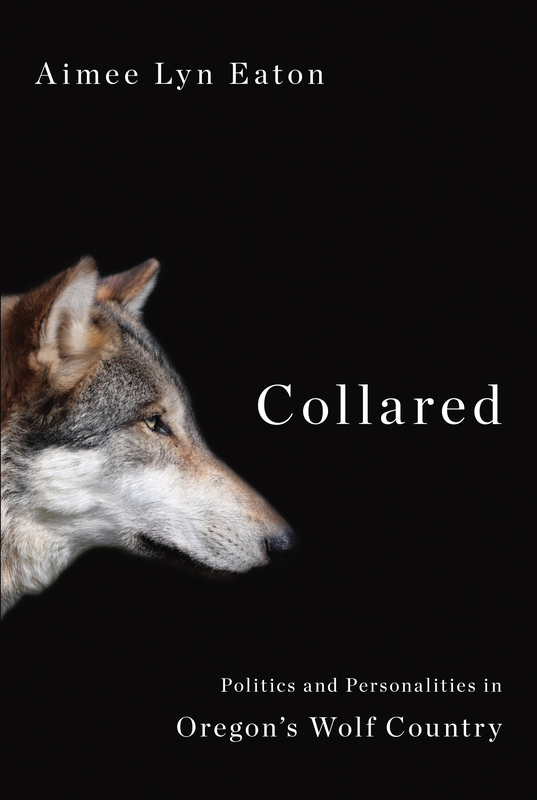 In the introduction of Collared, you narrate the story of the first wolf to re-arrive in Oregon—and subsequently get ‘deported’ back to Idaho. This action was later found to be in violation of the Endangered Species Act but, “at the time,” you explain, “the understanding of wolf management in the West was still in its infancy.” What life stage would you say it’s in now? It’s an interesting question. I would say we’re entering the early 20s of the issue's development. We have figured out some things — we know roughly who we are and how we are going to walk through this world, but we’re still prone to some bad decisions and the occasional misstep. Life isn’t quite comfortable yet, but some of the angst is beginning to fade and out there somewhere is the idea that things are pretty much on a good track. You characterize the entire wolf debate as an issue with “almost no middle ground.” But one of the things that struck me most about your book is how incredibly even-handed you are, how faithful to temperance and presentation of fact. This tone seems to fly directly in the face of the bouts of “flawed reporting” that unfortunately seem to have run rampant in the course of these controversies (84). You allow your readers to formulate their own opinions—and seem to work tirelessly to not tip your hand. Was this your objective in writing this book? I think it’s in medicine where future doctors are required to take the Hippocratic Oath promising to do no harm. In a lot of ways that sums up my approach to writing Collared. Throughout the process I knew there were multitude opportunities for me to step in it, to make a mess of things, to drop the ball. In truth it was terrifying, and at several points I swore that my next writing project would be about something benign like dam removal, or nuclear weapons. Fortunately at the beginning of the project I was able to recognize that the story of wolves in Oregon doesn’t belong to me, or to any one person. Rather it belongs to all of us, and the most I could hope to do would be to present the information in the best way I knew how, then to get out of the way and let readers relate to the issue through their own experiences and beliefs. Every time I panicked about messing up, I would return to that philosophy. Of the 2011 litigation that put a temporary injunction on lethal measures to manage Oregon’s wolves, Daniel Edge, former chair of the state’s Wildlife Commission, says to you: “there will be no winning” (70). But as a reader, the accord that’s stuck to resolve the suit reads almost as a resolution—or at least a policy whose intentionality Oregonians on all sides of these issues can be proud of. While I don’t want to ‘spoil’ the addendum for would-be readers of Collared, I would love to hear you reflect on what that agreement conveys about the needs and character of the constituents of Oregon—and the future of wolf issues in our state. (Especially given the care you take to differentiate among western states’ wolf management policies, which “reflect the concerns and realities expressed within these regions”) (102). I hope that Oregonians can be proud of the men and women from all sides of the wolf debate who have worked so tirelessly to manage not only for the health of wildlife and wilderness, but also for the prosperity and longevity of rural communities. The groups involved in the injunction and its resolution continue to work together, and trust in each other, to build Oregon’s future. It’s not an easy thing, and I believe one of the reasons they are willing to make it work is they see no better option. In working together they are each other’s best bet for long term sustainability. One thing to note, when the agreement was made the additional cost in manpower and work required by the implementation of the changes in the Oregon Wolf Plan was not necessarily considered. The Oregon Department of Fish and Wildlife wolf management program continues to largely be a two-person show. If we wish to see continuity within the program and the continued growth of partnerships and positive relationships we will have to figure out some way to bolster the program and its people. You can order a copy of Collared or read an excerpt from the book here. Aimee Lynn Eaton has worked with the National Geographic Society, the Bonneville Power Administration, the Freshwater Trust, numerous community newspapers, and as a science communicator at Oregon State University. She earned a BS in journalism from the University of Oregon and a MS in physical geography from OSU. Eaton’s writing has been published in The New York Times, National Parks Magazine, National Geographic Traveler, The Dirtbag Diaries, and a range of other national and international media. She lives in Central Oregon, where she grew up. For more information, visit her website, Notes from the Dry Side. Recently, Jim Lichatowich, whose most recent book, Salmon, People, and Place: A Biologist’s Search for Salmon Recovery is out from the OSU Press, paid a visit to Oregon State to deliver a talk: “Salmon Management and Salmon Science at a Crossroads” as part of the department of Fisheries and Wildlife’s seminar series. Lichatowich spoke openly with young biologists about his experiences over the course of his esteemed career—including the ethical dilemmas between policy and science he says are endemic to the profession. He challenges would-be wildlife managers to consider what they themselves will do, when faced with one such dilemma of their own. Today, Jim Lichatowich returns to OSU as a guest blogger to offer his advice in writing. During my career, I worked nearly 20 years at the Oregon Department of Fish and Wildlife (ODFW). As chief of fisheries research at ODFW, I learned how difficult it was to get the new scientific information the researchers were developing incorporated into salmon management programs. After leaving ODFW, I served on ten independent scientific review panels, which were looking into various aspects of salmon management and recovery programs. Service on those panels also showed me that there are impediments to the incorporation of science into salmon management and recovery programs. One of the scientific panels I served on was the Independent Scientific Advisory Board for the Columbia River Fish and Wildlife Restoration Program. Another panel scientist, Rick Williams, and I summed up part of our combined 20 plus years on the panel in this paper: Failures to Incorporate Science Into Fishery Management and Recovery Programs: Lessons from the Columbia River. We identified three impediments: 1) a conceptual foundation that is not consistent with the latest science, 2) the fragmented way watersheds are managed and, 3) political interference. Recently, I added a fourth impediment: a lack of historical perspective. 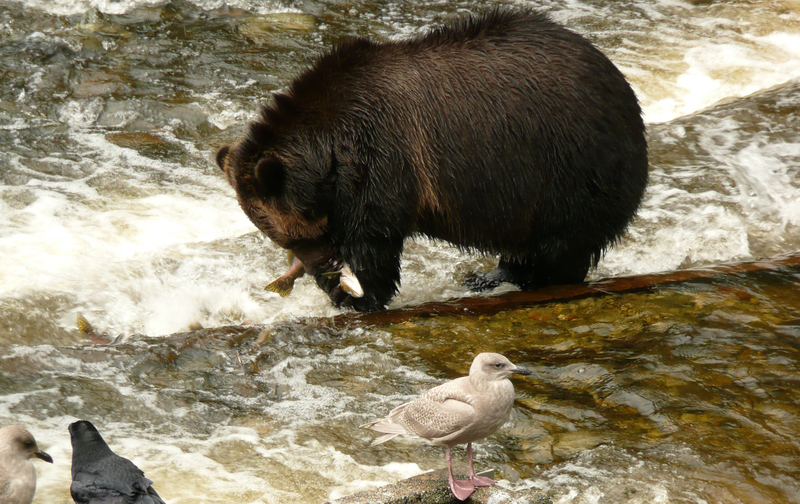 In my book Salmon, People, and Place: A Biologist’s Search for Salmon Recovery, I discuss several examples of the gap between what science is telling us and what management is actually doing. This gap is an impediment to the success of salmon recovery programs and one of the reasons that the huge expenditure of recovery dollars has resulted in so little real progress. For students at OSU who are looking forward to a career in a fish and wildlife agency, the gap between science and management has another serious implication. During the 44 years of may career, I witnessed this gap create ethical dilemmas for young biologists. For example, do you follow a policy that you know to be a flawed or do you do what you believe is the right course, the course consistent with what science is telling us about salmon sustaining-ecosystems? It is an ethical dilemma that I have seen colleagues face too many times and have experienced myself. If or when confronted with this ethical dilemma each biologist has to make an intensely personal decision based on his or her circumstances. No one can make it for you. The only advice I can give is this: take a little time now to think about what you might decide should you be faced with this dilemma, so you will be at least partially prepared to handle such a difficult situation. Jim Lichatowich is the author of the award-winning Salmon without Rivers: A History of the Pacific Salmon Crisis, and Salmon, People, and Place: A Biologist’s Search for Salmon Recovery. 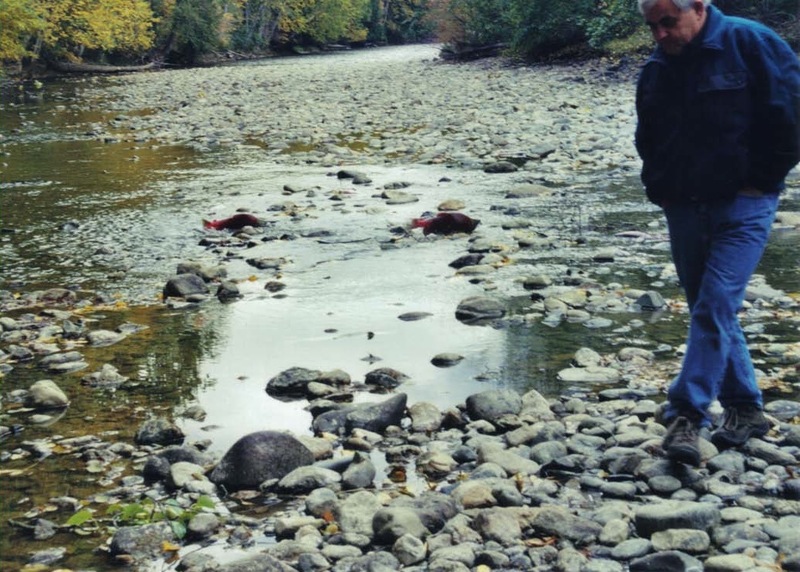 He has worked on Pacific salmon issues as a researcher, manager, and scientific advisor for more than forty years. He has served for many years on the Independent Scientific Advisory Board for the Columbia River Salmon Restoration Program, the State of Oregon’s Independent Multidisciplinary Science Team, and on other independent scientific review panels in British Columbia and California. He lives in Columbia City, Oregon.